December 1, 2009—A study in the Dec.1 issue of the journal Sleep suggests that changes in children's sleep patterns that typically occur between the ages of 11 and 12 years are evident before the physical changes associated with the onset of puberty. "It is very important for parents to be aware of the importance of sleep to their developing teenager and to maintain their supervision throughout the adolescent years," said Sadeh. "School health education should also provide children with compelling information on how insufficient sleep compromises their well-being, psychological functioning and school achievements." 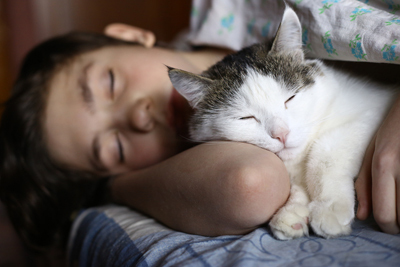 “Sleep and the Transition to Adolescence: A Longitudinal Study” Avi Sadeh, Ronald E. Dahl, Golan Shahar, Shiran Rosenblat-Stein. Sleep, 01 December 2009. Press materials provided by the American Academy of Sleep Medicine.